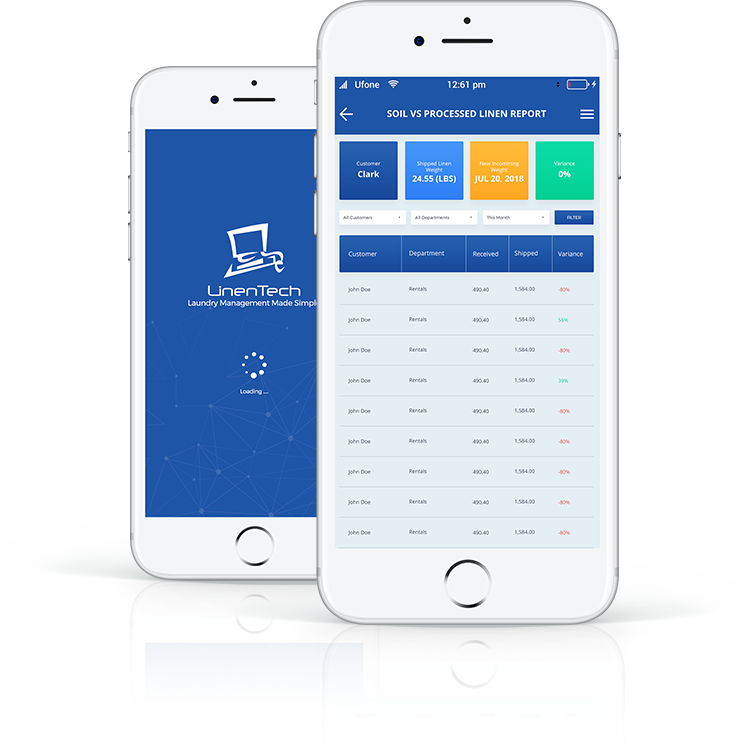 With the Linen Tech Smart mobile app for managers, you can now have access to all the key laundry data and reports on your mobile device. Real-time data including soil counts, shipment reports, inventory levels, processing reports, orders management, weight reconciliation, rewash, invoices, receivables, etc. are now at your fingertips with the Linen Tech Mobile App. With Linen Tech Smart, now you can also email invoices, manifests, and other key reports to your customers from your mobile device. The manager also gets live notifications on various activities like linen pickup, drop off, dispatch, etc. Laundries can give each of their customers' access to the mobile app, with access to reports and data relevant to that customer. Customers will only be able to view the reports and data laundry admin has given them access to. Some of the reports you can allow your customers access to are Rewash, Processed (Shipped) items, Processed (Shipped Weight), Weight Reconciliation, Delivery Manifests, Invoices, Customer Statements, etc. Besides the above mentioned, laundry can give its customers access to any report available in the system. Not sure if Linen Tech is the right solution for you? How about we give you a quick walk through of the software and answer all your questions. Not only that we will also give you a one month free trial of the software.